Accurately heating various materials such as metals, non-metals, liquids and gases is complex. There are many variables to consider. Material properties such as density, thermal conductivity, specific heat and time all must be known to calculate a correct wattage value. Phase change (solid to liquid, liquid to gas) requires additional calculations to account for latent heat of vaporization and latent heat of fusion. 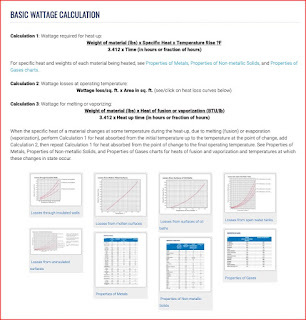 BCE, a manufacturer of custom heating elements and thermal systems, has a page on their website providing basic wattage requirement calculations for your reference. 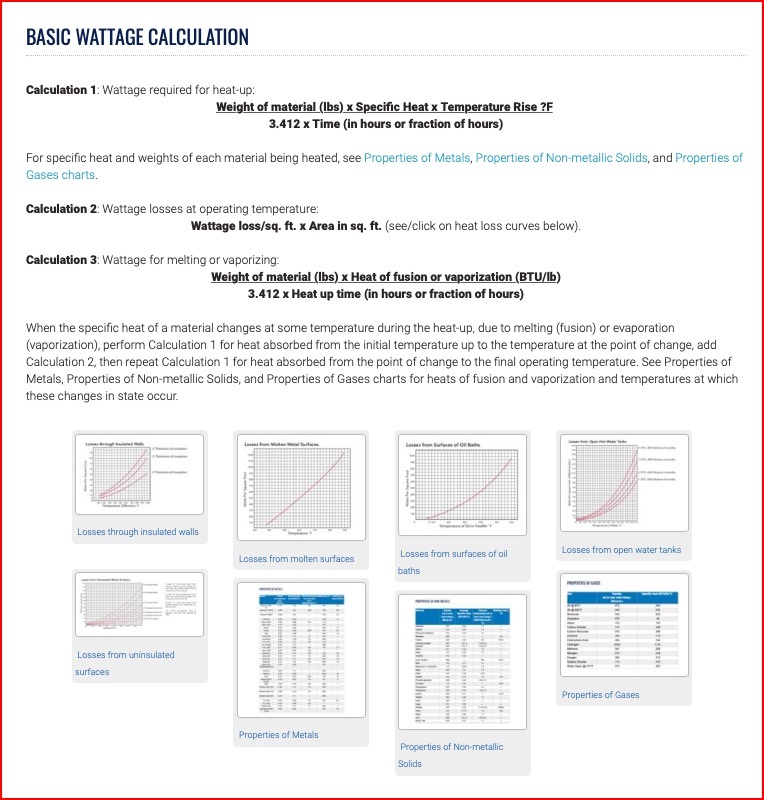 These calculations will assist you in determining the amount of power your heater will require, but it is strongly suggested you consult with a heater application expert before designing, specifying, or purchasing. Their expertise and knowledge will assure a safe, efficient, and economical heating solution. Visit the BCE Basic Wattage Calculation page.